Black Dog Salvage has attracted fans from around the world to Virginia&apos;s Blue Ridge with the popularity of its hit show "Salvage Dawgs" on the DIY Network, and now those fans will be able to stay in a special Black Dog Salvage house with the opening of the company&apos;s new Stone House, which is the subject of a recent feature in The Washington Post. 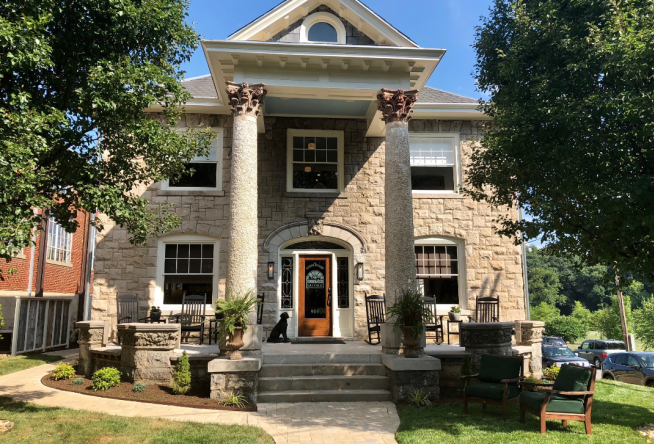 The Stone House is a newly renovated guest house located beside the company&apos;s 40,000 warehouse in Roanoke and it&apos;s available for booking for overnight lodging and special events. The feature in The Washington Post provides great exposure for this beautiful new place to stay and helps showcase Virginia&apos;s Blue Ridge as an ideal vacation destination for readers in the Washington, D.C & Northern Virginia media markets, in addition to The Washington Post&apos;s reach as an internationally-recognized publication. The article was written by Angela Haupt, who also wrote another piece featuring the region in The Washington Post earlier this year. "The duo used materials they already had in their workshops to renovate the 2,400-square-foot, three-bedroom property, which is rented on a whole-house basis and accommodates up to six people. The result is “a guest home for people who think like we do,” Kulp said during a recent tour of the house, which opened this month. 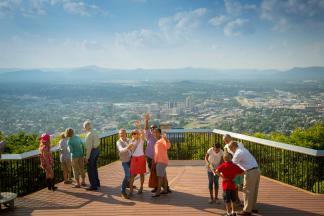 “It’s a fusion of historical architecture and modern convenience and style. We respect old things, but we don’t mind mixing in the new, and that’s exactly what we’ve done here.&apos;"
Visit The Washington Post website to see the article in its entirety and check out the Black Dog Salvage website to learn more about The Stone House.